Abu Dhabi, Mar. 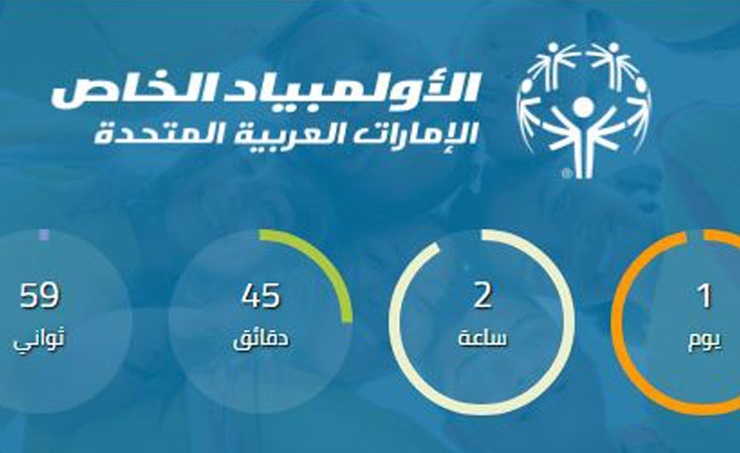 14 (BNA): Special Olympics World Games 2019 has made history by welcoming a record-breaking 200 nations ahead of the World Games. Of the 200 nations, 195 will compete in the Games and five will observe. Under the patronage of His Highness Shaikh Mohamed bin Zayed Al Nahyan, the Crown Prince of Abu Dhabi and Deputy Supreme Commander of the UAE’s Armed Forces, Special Olympics World Games Abu Dhabi 2019 is an integral part of local, national and regional plans to expand opportunities for people of determination in line with Abu Dhabi and the UAE’s shared vision of a unified and inclusive society. Taking place on March 14-21 in the UAE Year of Tolerance, the largest sports and humanitarian event on the planet in 2019 will be a momentous display of inclusivity, unity, respect, and sporting achievement. “The UAE is proud to gather humanity in the land of tolerance, a meeting that transcends the value and stature of international events with noble respect and dedication to people of determination who represent an important segment in the community," Hessa bint Essa Buhumaid, Minister of Community Development, said. The World Games 2019 will feature a range of non-sports initiatives such as Healthy Athletes and a Special Olympics programme that provides free health examinations for each of the athletes competing in Abu Dhabi. It also features an Inclusive Art Exhibition, Play & Live Unified activities, the Stand Up for Inclusion concert – part of the Abu Dhabi Music & Arts Festival, and the Global Youth Leadership Summit.